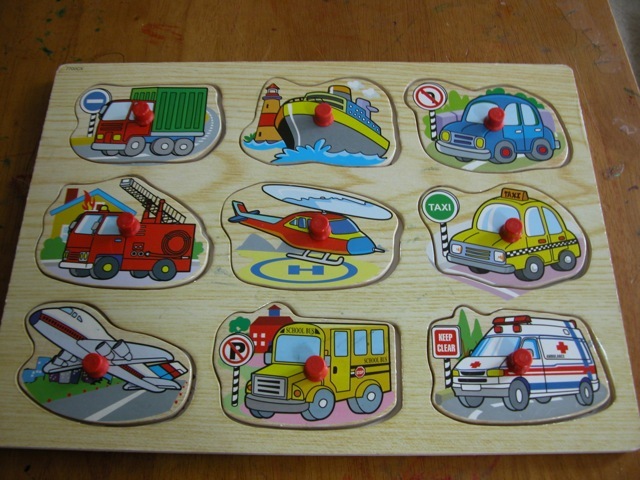 The community helpers puzzle. Its pieces dumped in the floor, again. I find myself frustrated, again. Frustrated to pick up the pieces and frustrated we were all sick. Frustrated we couldn’t get out and help the victims of recent flooding. The ambulance piece – pray for ambulance workers. The police car – pray for our police force rescuing flood victims. The tow truck – wow. I hadn’t even thought about all those cars needing to be towed away. And look, the school bus. As a young mother, I thought I was supposed to get off in my little corner and have my quiet time. More and more that became a hard thing to do. I didn’t quite understand how I was supposed to pray without ceasing. The Lord has gently taught me that prayer should be the foundation of our day. Not a separate practice, always apart from the children. Though there certainly is a time for formal prayer, the praying habit is to be passed on. It’s a way of life. I once heard prayer compared to breathing. Breathe out… send a prayer up… Breathe in…soak up His wisdom, give thanks. It’s a conversation. It’s easy. Something you don’t even have to put effort into. When you hear a siren, stop and pray with the children. Pray not only for those that might be hurting but also for those that are responding to the emergency. Pray for healing. Siren prayers usually prompt us to pray for others we know with urgent needs. When that airplane flies overhead pray, “God, please bless the people in the airplane.” My mother taught us this simple prayer. The youngest girl thought an airplane’s name was “bless” for the longest time. Can’t find something? Pray. The simple act of stopping and praying for wisdom helps calm everybody down. “Mama, shouldn’t we pray?” the seven-year-old reminds. We do. And then I find my keys. “You can’t change what you have or haven’t done over the past year. Just start where you are, ask the Lord to make you a “joyful mother of children,” pray for grace and wisdom (and strength and patience), and move forward. If you don’t have a community helpers puzzle but would like a visual, download this lapbook component from homeschool share. Click here then find the Community Helpers Hotdog Book. For even more fun, do the whole Cloudy with a Chance of Meatballs lapbook together! -Tricia homeschools five children from preschool to middle school. You can find her facing that daily dose of chaos at Hodgepodge. Tricia is a.k.a. Hodgepodgemom. Wow!! Beautiful!! So amazingly simple yet o profound!! Thank You so much for sharing your heart and what God has put in it! !-Be Blessed, Angie B. Love these suggestions – I found some new gems that we can include in our day as well! I was so encouraged and inspired as I read your very practical blog entry. Because I work closely with mothers of small children, I was just thinking that I needed to link to this from our several sites when I was surprised and humbled to read your note at the end about the quote you printed from our site! What a blessing that we can all encourage one another in practical, everyday living for the Lord. Vicki – what a blessing your site has been to me. I found you over a year ago via Homeschool Enrichment magazine. The author had quoted you and listed your website. Since then your quote has been around our homeschool group. What encouragement your quote is – especially for ‘back to school’ January blues. I appreciate your comment and would be honored by a link. Bravo…again! What a wonderful read to start my day! Thank you so much for sharing. I was so very encouraged!!! Thank you. I really needed to hear this today. As a young mom of three little ones age 5, 2, and 9 months and homeschooling, I have begun to get so weary and frustrated with life in general… upset with myself that I’m having a hard time seeing the joy in the little things like I used to do. But I know now the constant prayers have ceased around our home… thank you for reminding me of how to do this and for your encouragement. Blessings to you and your family. Ardelle – I was also at a place you described and it was the Lord gently reminding me of this practical prayer. “Come,” He said. Thank you for commenting and blessings on your home.